Microplastics—in recent years, there has been a lively discussion on the quantity, spread and risk potential of these plastic particles less than 5 mm in diameter. IFAT 2018 will show that meanwhile a broad alliance of research institutes and companies has formed, intensively looking for entry paths, avoidance strategies, possible measuring methods and procedures for wastewater treatment. And also technological solutions will be demonstrated at the world’s largest trade show for environmental technology held from May 14 to 18 in Munich. Stefan Rummel, Managing Director of Messe München, sees it quite clearly: “As the world’s leading trade fair, IFAT also is a trend indicator that accompanies emerging environment issues and new challenges right from the beginning. The question of how to deal with microplastics in waters, sewage and probably also in drinking water definitely is one of them.” Right on the exhibition’s opening day on May 14, under the banner of “Rethink—reduce—recycle plastic“, experts will discuss how rivers and seas can be freed from plastics in the medium and long term. Microplastics in waters and treatment plants will be part of the discussion which will begin at 11:10. Another important destination at the trade fair will be the booth of the Federal Ministry of Education and Research (BMBF) that launched one of the world’s largest research programs on “Plastic in the Environment”. Running until 2021, the program will invest 35 million euros in 18 joint projects with around 100 partners from science, industry, associations and municipalities. One of the highlights of the BMBF booth will be the joint project EmiStop. Objective of this project is to optimize existing treatment technologies for industrial water—such as sedimentation, flotation and filtration processes—to reduce microplastics in sewage. Ideally, the particles in the wastewater could even be fed back to the production. At IFAT, the Federal Ministry of Education and Research will showcase an electric flotation plant of the manufacturer EnviroChemie, which leads EmiStop. The booth of the Technical University (TU) of Berlin, Department of Urban Water Management will focus on a project dealing with tire wear in the environment. According to scientists it has not been investigated yet how much tire wear is released to the aquatic environment via road runoffs. The joint project shall bring clarity here. At IFAT, TU Berlin will present a sampling basket for immediate roadside examination of the street runoff. The basket was developed together with the companies GKD-Gebr. Kufferath and ORI Abwassertechnik. Additionally, the university will provide information on the current status of the OEMP project, which is dedicated to the removal of microplastics from the water cycle and which started in April 2016 already. The storm sewer filter Innolet G of Funke Kunststoffe is the first marketable product that was developed in the course of this project. This system allows to upgrade existing drains with a wet sludge trap, which then reliably removes tire wear particles. Invent Umwelt- und Verfahrenstechnik—industry partner of OEMP—will exhibit its iFILT-diamond filter in Munich. This filter is designed for use after secondary sedimentation in treatment plants. In addition to removing activated sludge flakes, precipitation flakes after phosphorus reduction or powdered activated carbon, the filter holds back microplastics. Also ATB Water targets microplastics. According to own statements, the company specializing in small wastewater treatment systems is extensively working on a technical solution to filter microplastics out of the wastewater flow of small treatment plants. On Tuesday, May 15, 2018 at 11:00 ATB representative Torsten Zelmer will give a presentation on this topic at the joint booth of the Training and Demonstration Center for Decentralized Sewage Treatment (BDZ). “The challenges we are facing in reducing plastics in the environment are many,” Dr. Bettina Rechenberg emphasizes. The head of the division “Sustainable Production and Products, Waste Management” at the German Environment Agency continues: “To solve them we need to accurately quantify the environmental releases, also those via composts and fermentation residues, and reduce them by extending the state of the art.” And, according to her, also product and material development must take greater account of possible releases to the environment and recyclability. For plastics to not end up in the environment but increasingly as recycled material in products, recycling plants need to deliver sufficient qualities of recycled materials. “Independent of the current intensive research efforts, the industries should prepare for these tasks already today,” the expert underlines. 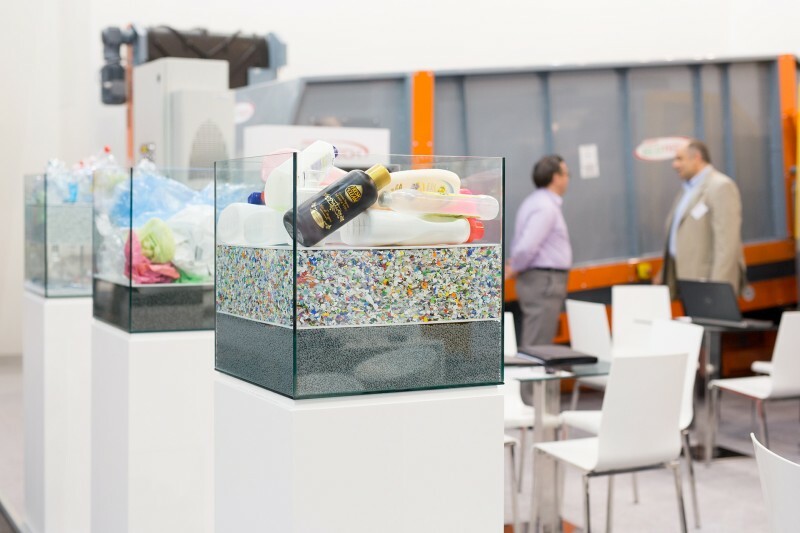 In May, IFAT and its more than 3,100 exhibitors will show how the recycling and sewage sectors tackle these challenging tasks.